Do you believe that a human's energy field can affects electronic devices like cellphones and computer? Well, before giving an answer to that question let us see what is real about bioelectromagnetism which defined by Encyclopedia as electric potentials and currents produced by or occurring in living organisms. According to another definition from Wikipedia it says, bioelectromagnetic, it's the study of the interaction between electromagnetic fields and biological entities. In fact in general science like biology, this natural energy described as bioelectric potential energies generated by a variety of biological processes and it comes in various ranges and strength from few hundred millivolts to high volts. 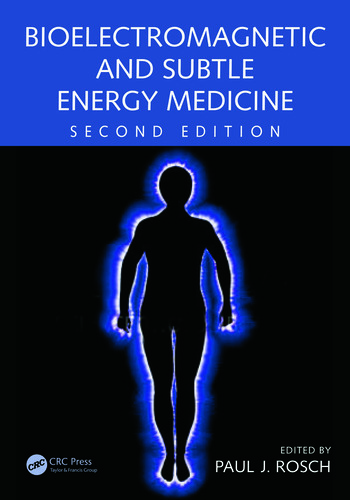 Human bioelectric is an unique energy field, which sometimes regarded as electric field energy"Aura" in esoteric studies. In our orthodox education system, we learned the fundamental base of this energy in biology studies and physics about neural transmitters in a human synaptic system that creates electrically charged particles for body motion and muscle contractions. There is no daunt that our bodies are electrically charged particles, and this further producing an extended cloud of electric charge hovering around our bodies. Metaphysically, speaking this is what the occult scientists called it "Aura” , the etheric body around each and every living entity and nonliving matter, since everything contains atoms and electrons that possess energies powerhouse within them, that can produce that particular extra could energy (electrons). Currently, there are many studies all over the world about this particular subject, an example in fields of parapsychology , occult sciences and laterally biotechnology has also came in to join them as modern scientists trying to understand what is really about consciousness. I have personally, experienced this phenomena myself and that is why i am so keen to understand this strange natural energy that oozing from the hands,eyes and other part of human body like brain and heart. In other unwitted circumstances bioelectromagnetism is the reason somewhat you have trouble-shooting problems with your electronic devices like computers, cellphones, cameras, TV plasma, internet configuration and other communication systems that communicate via ionospheric frequencies bands , where also human's bioelectromagnetism is attached naturally. In a subject of electrical engineering, it is an established principle that all electrical currents transmitted through medium like a wire and water can further again produce some electrical displacement at a surrounding area to form an extra electromagnetic fields, where if you come closer enough that charge cloud can electrocute you. The correct name of "electrical displacement" it known as electrical torsion field. 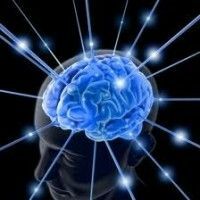 In another subject field such as the psychology it indicated that a human being has emotional energies that can able to influence people and events at nearby vicinity, where neural transmissions have potential to cause some torsion of bioelectromagnetic fields that radiate at some inches away from a person who sends them. By this process, is very tangible to come on conclusion that these frequencies/waveforms are capable to impregnate some electronic devices that are in a closer vicinity, if a human brain could radiating stronger electrical charge than 55 millivolts (mV) fresh-fold. There are many researches done in this field that have revealed and explained the phenomena in more detail. Nature is full of electricity, like the mysterious charged plasma the one in the picture here that engulfed every matter within the entire universe "macrocosm. 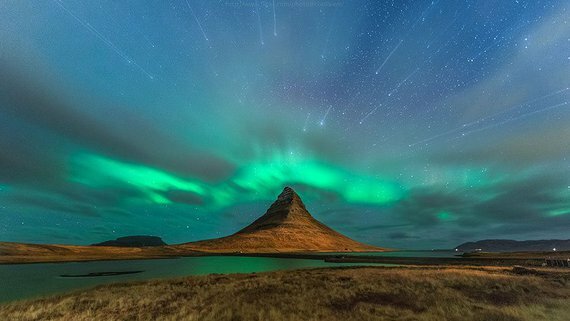 The plasma cloud sometimes can cause a devastating effect in communication networks example the incident of Aurora phenomena. There is no daunting that the microcosm cousin of the universe which is a body of a human being has also electricity within it, that can also subtly affects electronic transmission signals in closer conduct. Particularly when a human being is in certain state of mood that elevate the microvolts in the body to create static grimish instantaneously. People who affected by this kind of twilight-zone don't realize it, normally they go around attempting to smash their electronic devices into pieces whenever freaking problems occur for no apparent reason. There are dozen unexplained events and many of them almost tantamount to this special supernatural phenomenon that happens to every one of us. We experienced countless erroneous in electronics, software, internet freezing and etc. 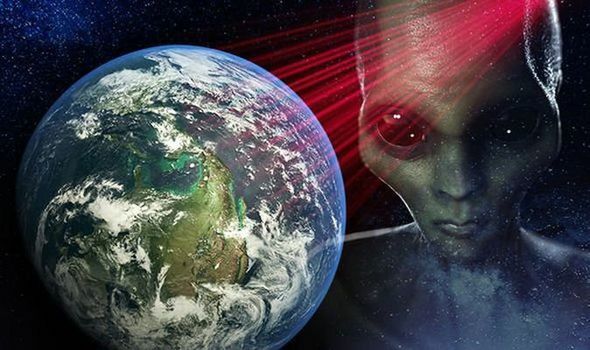 These mayhem are not far from the involuntarily bioelectric field and the imbalance energies that make human bodies to ooze powerful magnetic field in an uncoordinated distortion. 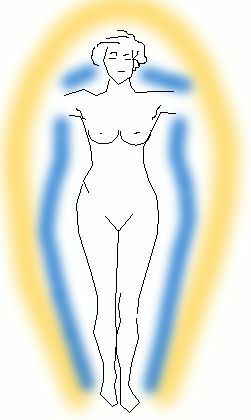 The energy torsion fields created by the bodies affect most of our daily life negatively and some positively. We rush to conclude that our electronic gadgets are being hacked with bugging malware, viruses and so kind of cybernetic attacks as people claiming. I am not trying to deny the fact that 98% electronic problems nowadays are caused by malware and spamming viruses. But, we can't ignore as well that there is some subtle interference among the remaining percentage which contributed by human bioelectric torsion, of which this nothing else other than human's ‘’bio-short-circuit’’ that now and then disrupting electronic devices. Human bioelectric short-circuit is very inconsiderable, but largely contributing factor to daily mayhem: Image, you became so frustrated at the shopping mall when you take out an ATM card to be swiped by cashier and machine keeps saying”read error” while you know that your bank card is working fine and even you have used it in next door in a few minutes ago. In another similar scenario perhaps you have experienced, standing in a clue at ATM ready to withdrawal money, but suddenly when you step-in after another person for your turn at the machine, the ATM suddenly goes off with no apparent reason while you were so anxious, after a minute when someone check it again after you, it is working normally. The third scenario you call a stop with your car at certain place to have a coffee in trip to your office, after you done, got back into your car and start to reignite the car and surprisingly the car is not starting, you tried after tried and someone comes over for help and when he/she starts that same car the vehicle just start very well no even effort spent. The truth is remain that these types of intermittent problems caused sometimes by your energy field. Naturally, the wave energy are propagate up and down to relay universal information within an universe, so too this energy moves in same form in a human bod. There are several stimuli that worsening the imbalanced electrical torsion in the human bodies: Too much of stress and pretty emotional excitation, scientists believed that "the most culprit in damaging electronic system of devices and machines is an emotions of operator who operating that particular system". Metaphysics indicated that whenever a person disappointed or extremely excited his or her Auric energy field is also expanding inward/outward and pulsating some powerful energy sparks into the surrounding air. Thus this can affect the mood of people around and interfere in electrical signals of some electronic system in near vicinity. It is not a jinx magic, by saying that there are some individuals among human species who don’t produce a clear image in camera no matter what type of resolution used in photo-taking due to the undefined bioelectrical field surrounding them which create blurred contrast image in the photo, usually these group of people don't have a convincing passport photos or rarely have nothing. These category of people are very rare in our society, normally they got no photo album or have less impressive photos since they produce a disturbing shadow under camera’s lenses. Note that, this phenomenon we are discuss here is very real for many people especially, me myself i have personally seen it in action many times, although it is not necessarily widely recognized by the scientific or technical communities as a real causality of electronic mishaps. Scientists believed that bioelectromagnetism field in a person can interfere, interrupt, affect and even break computers and electronic devices; it happening randomly and unnoticeable. Since these kind of problems are experienced intermittently, often time when emotions are running high or at the bottom pit. There is another group of people that never experience this phenomenon at all due to the coincidence that their biological bodies and energy configuration are resistible to unnatural alignments and deformities . The reason why human energy fields affects electronics is that most all electronics use ionosphere energy as means of propagating information. The same natural frequency where human's bioelectric is rooted. Another possible second reason, is that modern devices and system depend on radio frequencies, and some electronic equipment contained quartz crystals that formed basic components of chips,circuits and some electronic transistors which help to transmitting and receiving signals. The computer electronics and software like cellphones are electrified gadgets that propagate natural frequencies like humans via ionosphere. Quartz elements attracting magnetic fields and store information, so if a certain person's energy field is stronger enough, it could affect and even change the frequency at which crystal within the device is vibrating. Or keeping a small quartz tourmaline stone in your hand bag for hours or days or even permanent. 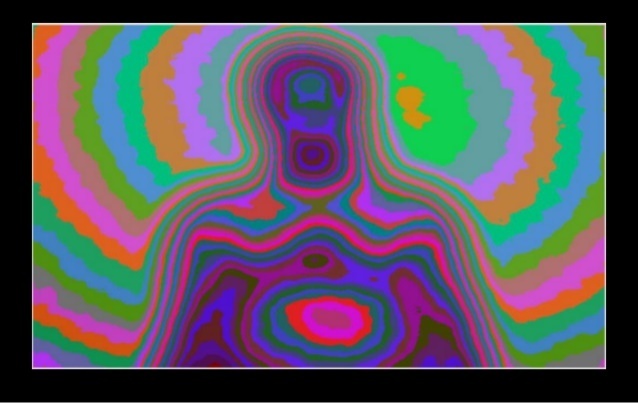 You can even put it in your office,home as “energy medicine” to re-attune and align your own bioelectromagnetism [chakras energy centers] at particular points throughout the body. It is quite understandable that less has been taught in public and less has been done by the scientific researches about this amazing bioelectromagnetism of human system. The color frequencies of light which the aura formed are too highly invisible to be perceived by naked eye in most cases. However, a trained practitioner can learn to perceive these ethereal frequencies naturally, by stimulating the Pineal gland of a subject and adjusting himself or herself to the brain waves, at the same frequencies where the patient's vibrating. Most Leiki and metaphysical practitioners tend to see the aura in six basic colors: red, orange, yellow, green, blue, and purple. Although the aura itself consists of mysterious frequencies, higher than those appear in visible light spectrum. Electromagnetic energies in the aura have lower subharmonic frequencies that resonate with the frequency of each of the colors of the visible light spectrum, they may sometimes be higher or lower than the general range and generally exist in a range between and within FM waves and moderate to strong microwaves. The electrical fields in humans classified as bioenergy, is very tangible essence as far as to define human being's aura. 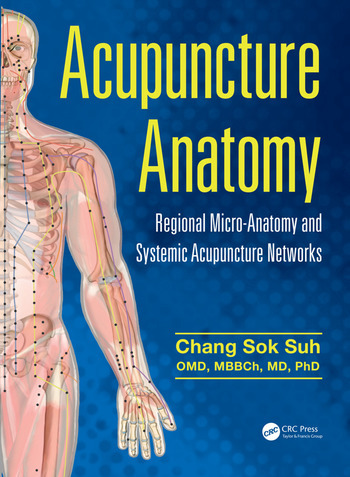 Many scientists and doctors have been particularly intrigued by metaphysical subject of studying human aura, that done in Eastern Medicines for several centuries, for instance Acupuncture and Tai Chi . Scientists claimed that the auric energy-information can be used accurately to analyze a patient’s psychological and physiological emotion states in order to provide proper cure. This claim is fairly well supported by growing discussion in more causal relations. Consulting scientists and researchers at ITEM have processed nine years of energy based research, and have found that emotion itself is essentially to energy reaction in relationship with certain perception. Serious, medical practitioners should have tangible knowledge of auratic alignment in order to master their clinical analysis in providing holistic treatment. The Aura is highly characterized and an important thing that affects a person's emotional state and physical conditions. 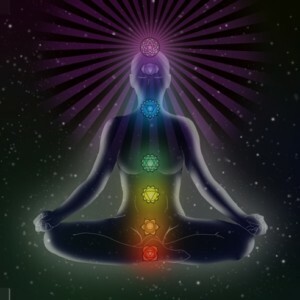 This makes the reading of auras a very useful and powerful tool for the biological homeostasis and imbalance of molecular energies, metaphysical and clinical analysis of humans, animals, plants and inanimate matter. The pelagic animals like Squids lives in a darker at sea bottom and use their bioluminescent bodies to see things in the darker environments. Bioluminescence is an emission of light by living organisms such as night-flies, glow-worms, sea fungi, squid,jelly-fish and etc. 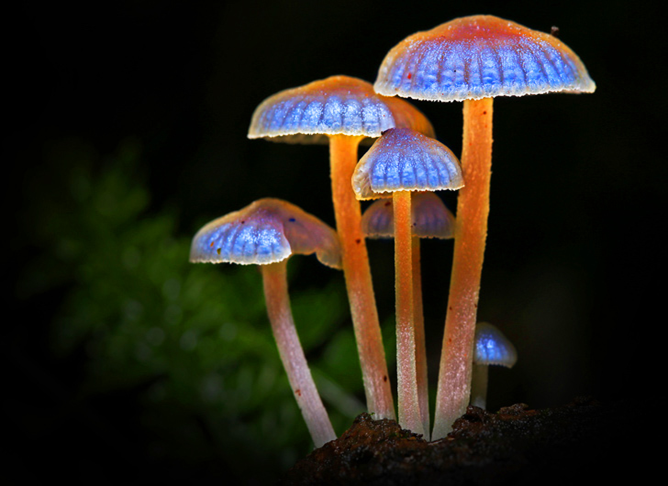 The light emitted by these type of organisms is very helpful for their survival. For the purposes of academic level other than occult science this research, that presuming an existence of physical aura is based upon on factual evidence of everyday's principles that all mental activities of human being involves electrostatic or electromagnetic energy-information exchange. However, there are many antagonists and medical theorists who tend to argue by supporting that the neural charges of a person's brain is merely the chemical substances, whereby neurotransmitters involved. These medical theorists have failed to acknowledge the fact that neurotransmitters are created only when electrical impulses induce voltage in a neuron that exceeds the firing threshold of the nerve cells. So, what about the movement of atoms in other ordinary cells of human body that produce a quantifiable electromagnetic? It's clear that every cells produces energy and not only the nerve cells. In addition, EEG (electroencephalogram) technology demonstrated that mental activities can be effectively analyzed and monitored entirely by using bioelectromagnetic principles.